Don’t know what wine they’ll want? 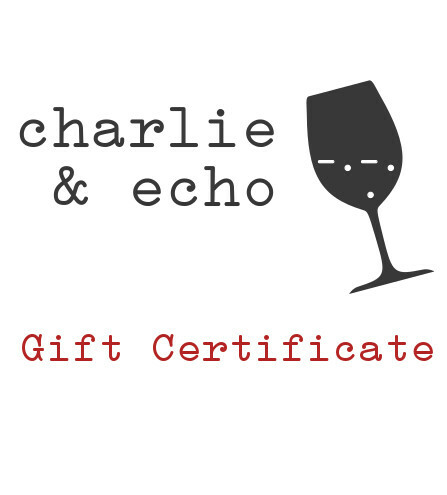 An e-gift certificate is the answer! The lucky recipient can be redeem it all at once or a little at a time (like a gift card) either online or in our tasting room. Available in any amount from $10 to $500. Perfect! Certificate will be e-mailed (no physical copy) to the recipient within 24 hours of receipt of this information. Sales tax is charged for California purchasers. Certificate acts as a coupon for the redeemer and is taken pre-tax (i.e. when you gift a certificate, the recipient gets the amount purchased plus the sales tax). Certificate is not redeemable for cash.